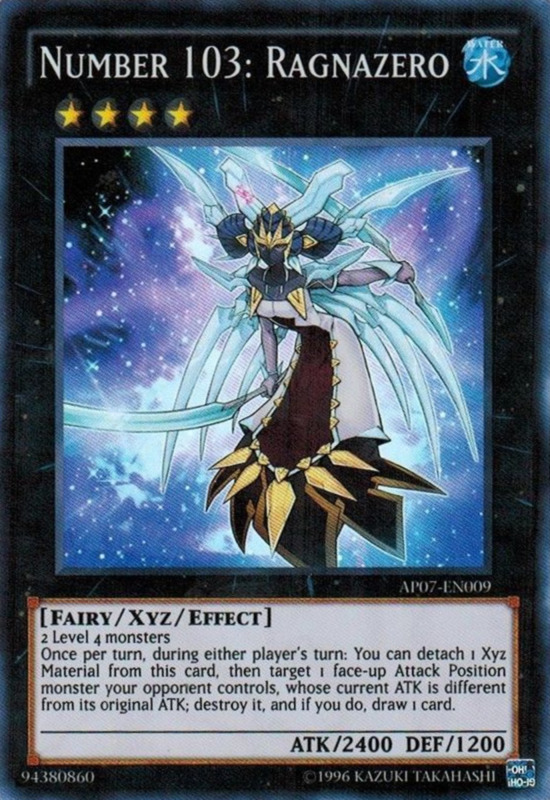 A fan favorite, Xyz summoning features black-backgrounded cards and debuted with the (not so favored) Zexal anime. 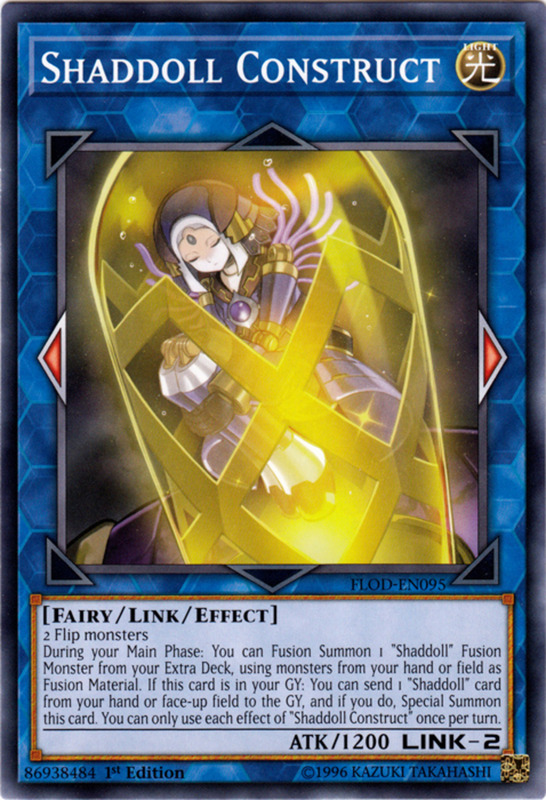 Though Zexal's reputation never rose to the same heights as its predecessors, competitive fans loved the new summoning method. How does it work? Each monster in the game has a Level, represented by the number of stars in the top-right of the card. 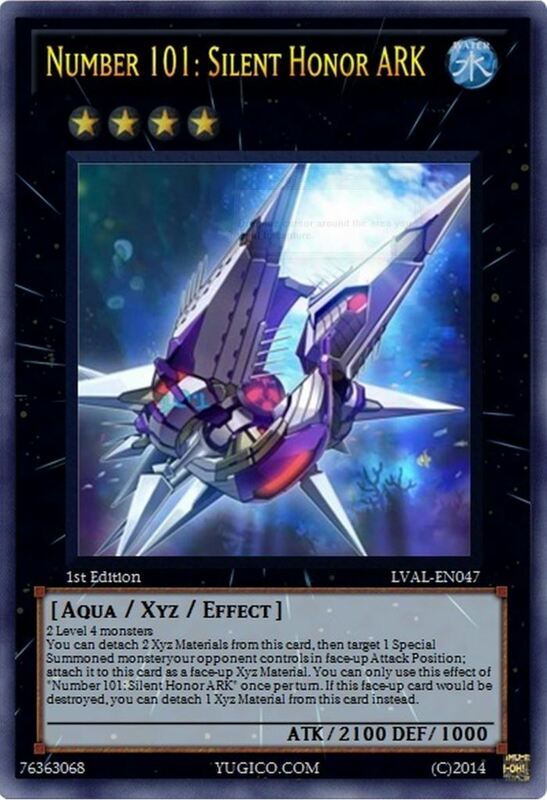 To Xyz summon, all you need is two monsters with the same Level out on your field. 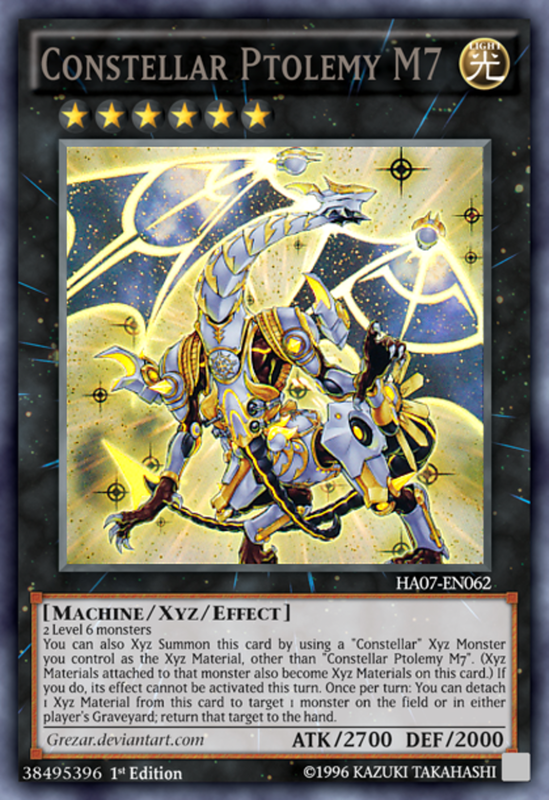 With them, you call forth an Xyz monster with a corresponding Rank from your Extra Deck. For example, two Level five monsters can be used to summon the Rank 5 monster Artifact Durendal. The two monsters you use become "Xyz materials" that are attached to your Xyz monster, and are consumed as fuel to power its effects. 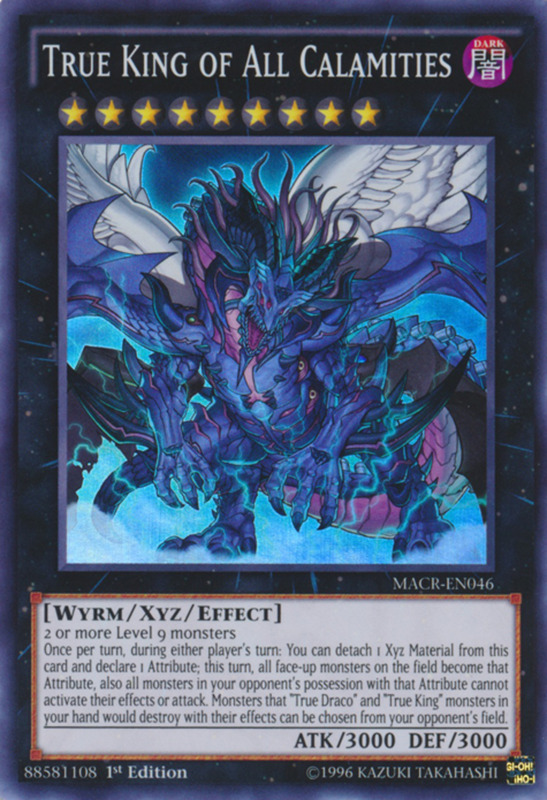 Note that some Xyz monsters require specific types of monsters to be used for their summon, and a few require three materials rather than two. Factoring in Attack, Defense, effects, and ease of summoning, here are the six overall best Xyz monsters! Several Xyz monsters have "Number __" as part of their name, and Utopia is one of the finest. Fans of the Zexal anime (they're out there somewhere, right?) 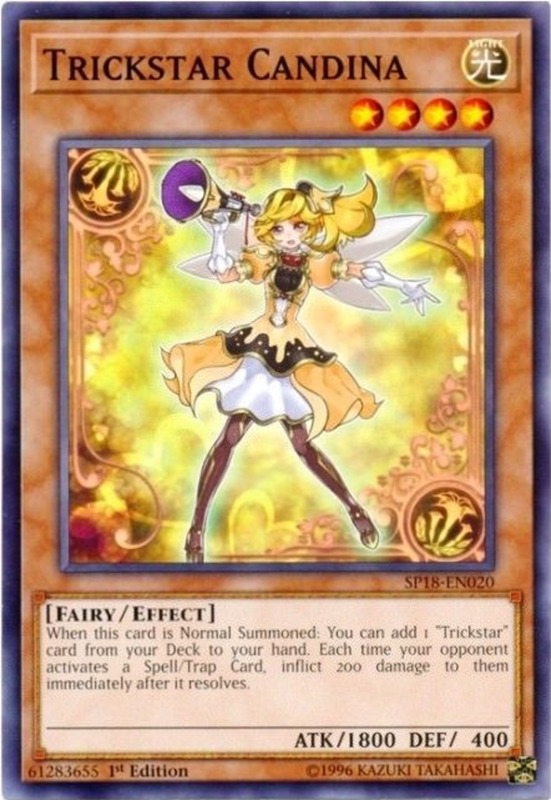 may recognize this card as one of protagonist Yuma's monsters. It has superb Attack and Defense for a Rank 4, and it accepts any two Level 4 creatures as its materials. 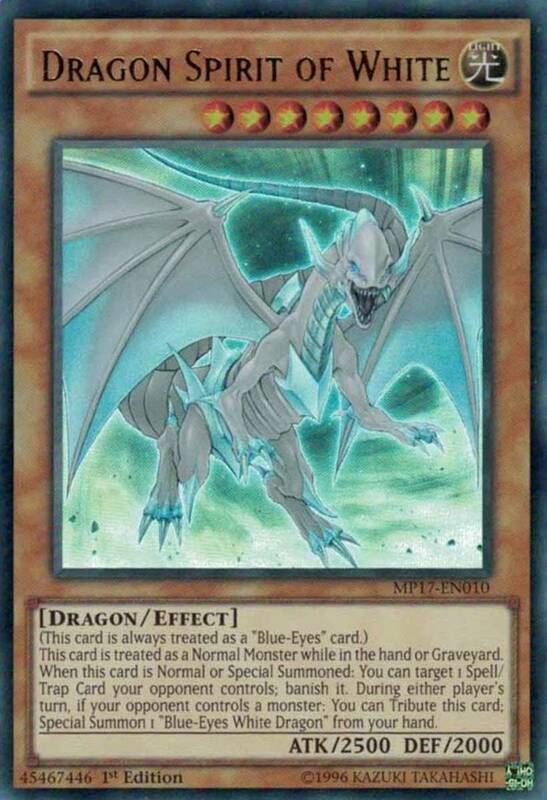 Plus, check out Utopia's effect: whenever an opponent's monster declares an attack against any of your monsters, Utopia can spend one material to negate the attack. This allows Utopia to keep your weaker monsters alive long enough to use their effects or sacrifice them for stronger creatures. Blending offense and defense, Number 39 fits snugly into any deck using Level 4s. Just be aware that it'll destroy itself once it spends all its materials. Silly name? Yes. Powerful effects? Definitely. 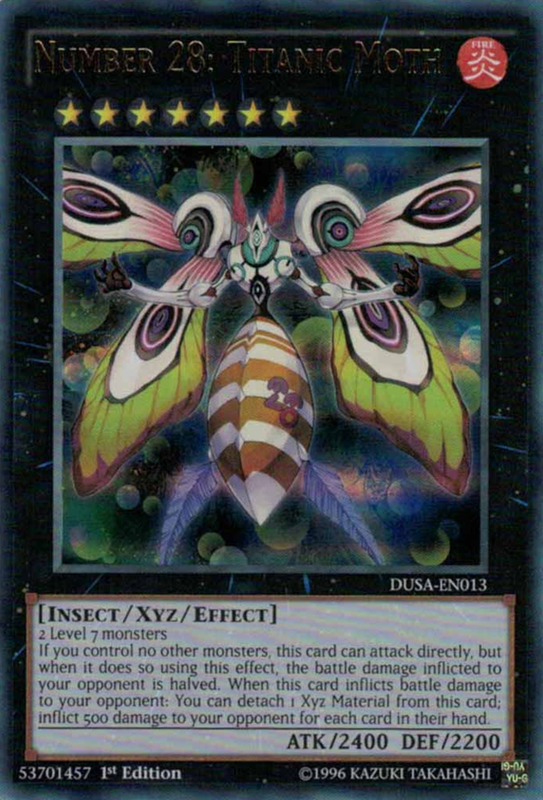 This monster is one of few Xyz monsters to have a better Defense than Attack, so it works well when you need to stall rather than advance. Plus, it has a variable effect depending on whether it's in Attack or Defense position. 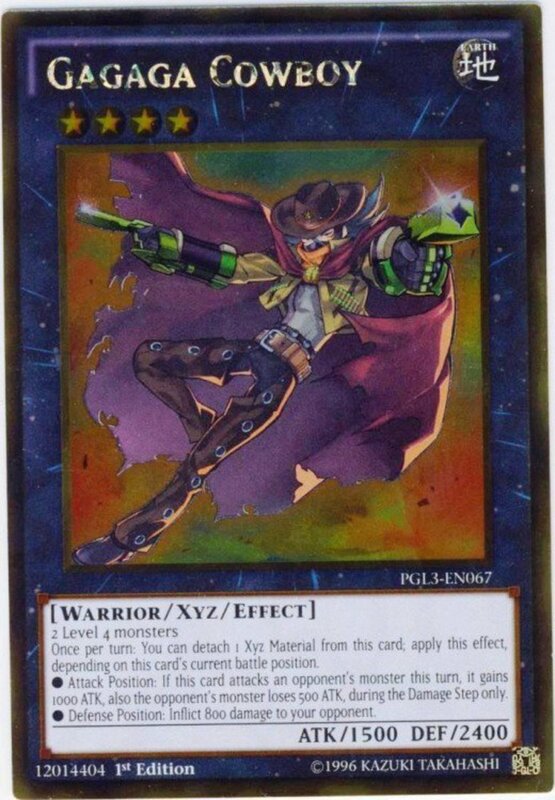 In Attack, Gagaga Cowboy can spend one material to use this power: This turn, when it attacks a monster, Cowboy gains 1000 Attack and the opposing monster loses 500. Thus, despite Cowboy's low base Attack, it can easily defeat far stronger creatures. In Defense, Cowboy can instead spend a material to inflict 800 damage to your opponent's Life Points, weakening or even finishing them off. In short, Cowboy is an accessible and versatile monster that can accommodate numerous strategies. Two Level 6 monsters are required as materials for this Rank 6 titan, which can be a little tricky to get out on the field. However, Constellar Ptomely's effect and power more than compensates. A stellar (sorry, couldn't resist) Attack and solid Defense let it overwhelm most foes, and Ptomely wields an awesome effect. Once per turn, you can detach one material to return one monster on the field or in either Graveyard to its owner's hand. Make your opponent have to resummon a stronger monster? Return one of your defeated beasts to your hand? The choice is yours. M7 synchronizes well with the other Constellar monsters or any deck using level six creatures. Back to Rank 4s, which I tend to favor for their powerful effects and ease of summoning. Ragnazero boasts a stronger Attack than most monsters of the same Rank, and contains a very useful (if somewhat situational) effect. Once per turn, during either player's turn, you can detach one material to target one of your opponent's monsters whose current Attack differs from its original Attack. Destroy that monster, and draw one card. Basically, Ragnazero takes out boosted enemies while replenishing your hand. Admittedly, this effect relies on your opponent's monsters having a modified Attack score; if they aren't altering it themselves, give them a hand by using a Spell like Burden of the Mighty. Ragnazero has solid Attack, an incredible effect, and (like all monsters in this countdown) isn't selective about which monsters become its materials. Highly recommended. 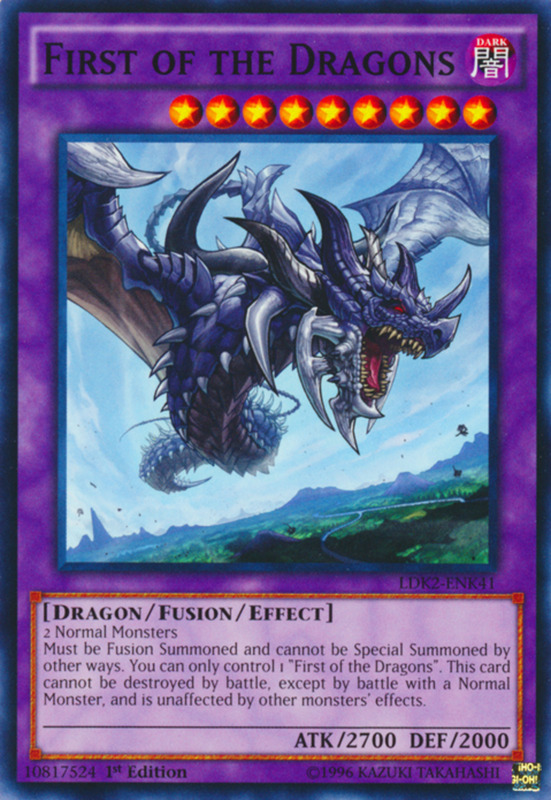 Fans of the Arc-V anime may recognize this card as the trademark monster of Yuto. Like many Yu-Gi-Oh cards, its effects differ slightly between anime and real life, but either way it's a force to be reckoned with. Once summoned with two Level 4s, you can detach two materials and target one monster your opponent controls. That monster's Attack is halved, and Dark Rebellion permanently gains that amount to its own Attack. This amazing ability allows Dark Rebellion to surpass almost any foe in power. Even without its effect, this card possesses a respectable base Attack and Defense. Just when your adversary thinks they have the upper hand, summon this formidable dragon to use their own strength against them. Silent Honor ARK emerges from the depths of the ocean to aid any deck using Level 4s. Its Attack and Defense stats are both mediocre for a Rank 4, but ARK's awesome effects make up for it. You can detach two materials to target one opposing monster that was Special Summoned and is in Attack Position: that monster is attached to ARK as Xyz material. Additionally, ARK can detach one material whenever it would be destroyed (either through battle or card effects) to prevent its defeat. These abilities allow ARK to take down one of your opponent's best monsters (assuming it was Special Summoned, which most of the strongest cards in the game are), then use that monster to keep itself alive. This also sends pesky Pendulum cards to the Graveyard when they're detached as materials, preventing them from being resummoned. Alternatively, use both original materials to defend against two destructions. ARK is a monster you can consistently rely on in duels to overwhelm foes, and is as easy to summon as any Rank 4. Give this dramatically named monster a try to unleash its mighty effects! 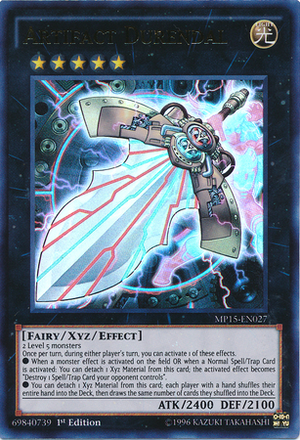 As of this writing, the latest Yu-Gi-Oh summon is the Pendulum Summon, but Xyz monsters continue to see wide usage and receive new additions to their ranks (okay, I'll stop). 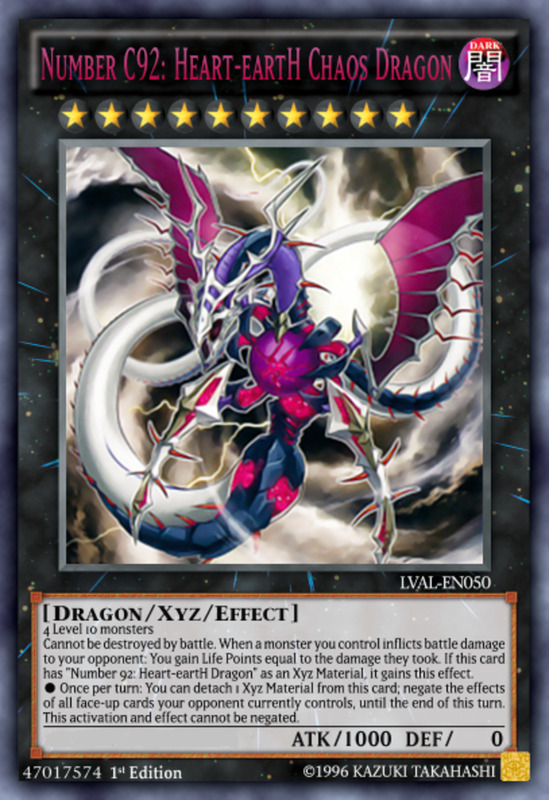 Xyz monsters made indisputable strides forward in Duel Monsters, and will hopefully continue to play just as prominent a role in the future. Feel free to vote for your favorite, and remember, if you're ever bored and happen to have Zexal available for viewing.. maybe see if some paint is drying in the neighborhood first. add number Bagooska the terribly tired tapir and malevolent sin. I use number 13 and number 31 combo it is pretty strong. I like using xyz monsters. My fav is probably Chaos number 88 Gimmick Puppet Disaster Leo. The effect is super op!! 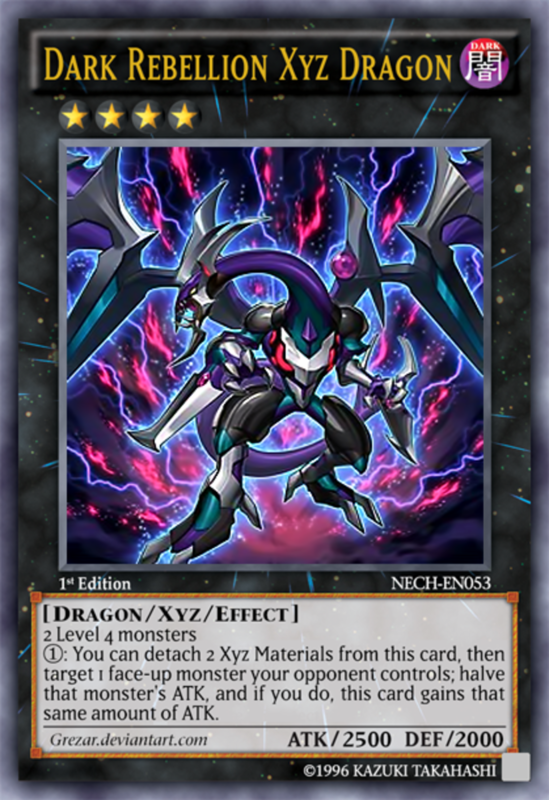 You can detach one xyz material from this card then deal your opponent 1000 points of damage. 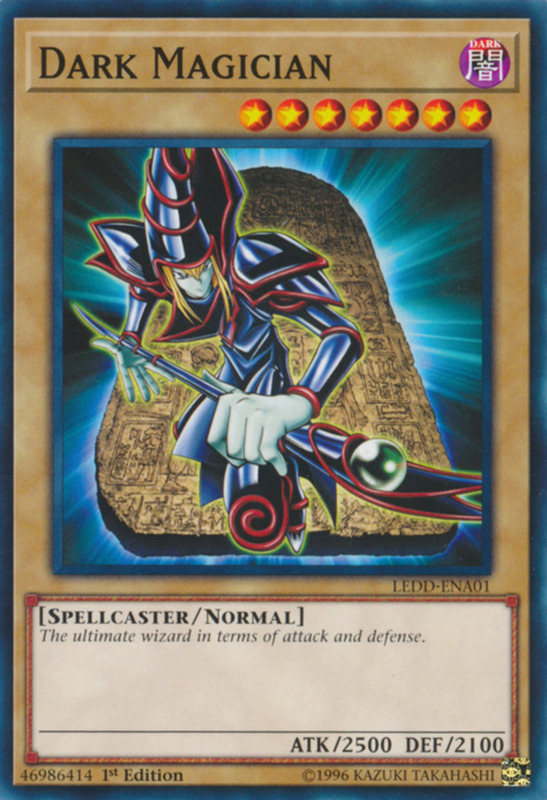 If your opponent has 2000 lp or less and this card has no xyz materials you win the duel! Im a xyz user that uses phantom knights and I can see how dark rebellion is number two. You wouldnt believe how many times he won my duels when i needed him. Whats cool is i was able to summon three in one turn by using the phantom knight of break sword three times by destroying himself play DRXD, his effect use revivial cards to do the same thing two more times. great list. I play watts so heartland Draco goes great in there. 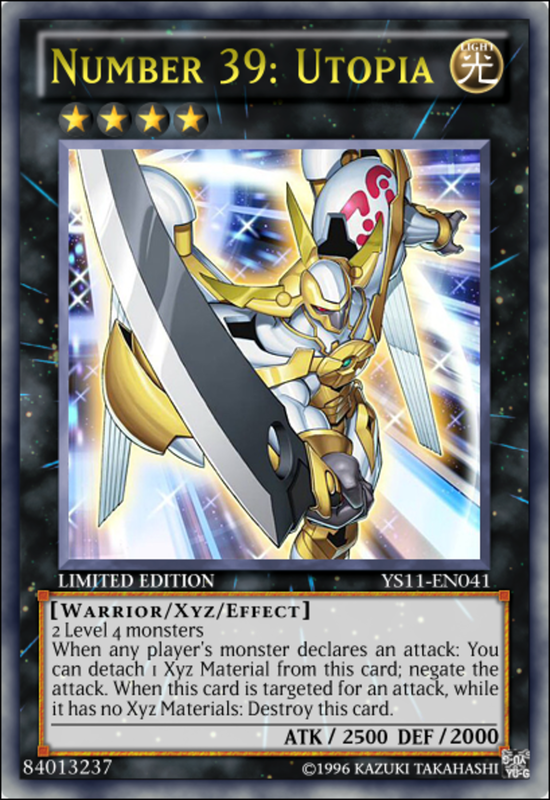 shark is still brutal but seeing a lot of people heading back to big eye and the heavy hitter xyz cards lately. Very interesting list, man. I love how you also explain how to Xyz summon in your article. People really underestimate Utopia as a stall card, and now Utopia the Lightning is one of the most played Xyzs currently in the game. I was surprised you didn't mention Constellar Pleiades though. That guy has made me scoop on more than one occasion -_-, especially if my opponent can spam them... Still, the other entries are dangerous in their own right. In the day and age of Pendulums, where level 7s are not too hard to summon, where the hell is Number 11: Big Eye? Also Silent Honor DARK Knight tops ARK Knight. All you have to do is rank it up.